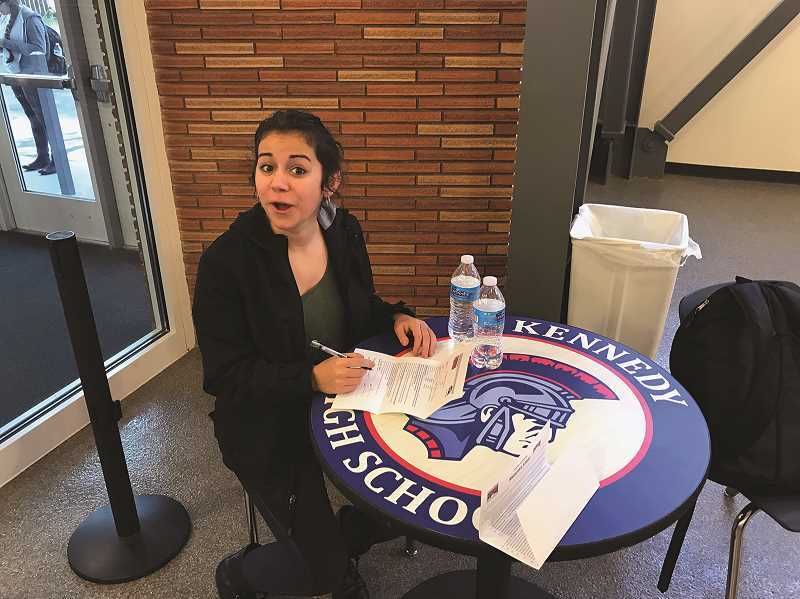 After a celebrated cross country career with the Kennedy Trojans, senior runner Alejandra Lopez made her commitment to continue her athletic career next fall at Southern Oregon University. 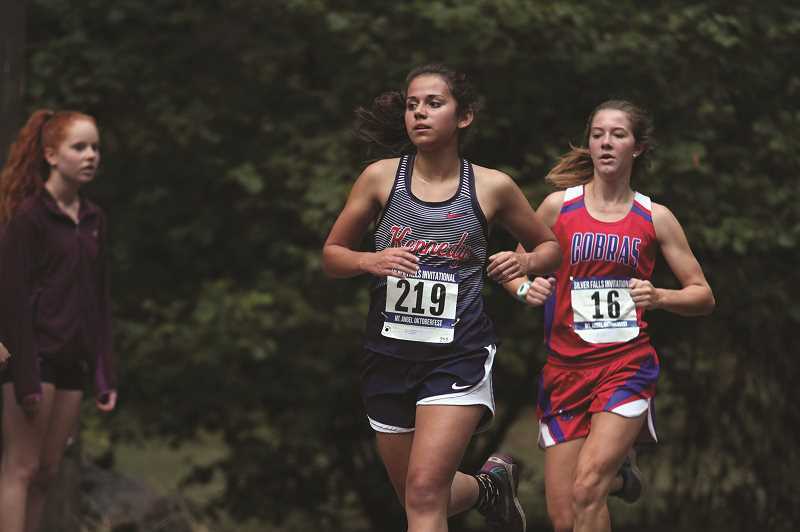 Lopez signed her letter of intent on the eve of the spring track and field season, where she will seek to add an individual title this spring to the cross country championship she won in November at the 2018 3A/2A/1A OSAA State Cross Country meet. 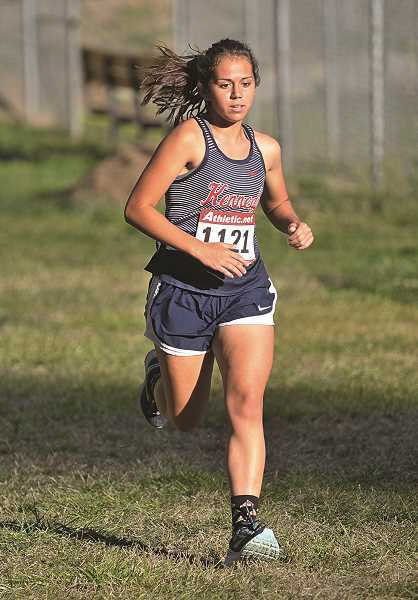 Lopez ranks among the top distance runners to compete at John F. Kennedy High School, finishing in the top 10 of the state meet in each of her four years of competition. She burst onto the scene as a freshman, placing eighth overall in 2015 and followed with fifth-place finishes in 2016 and 2017. This past year, Lopez capped her senior season by winning the 2018 state title, joining Deanna Schiedler (1981 and 1982) as the only Kennedy runners in school history to win an individual cross country championship. During her senior season, Lopez set a personal-best time of 18:47.60, which ranks as the second-best mark in school history in the 5,000 meters, and ran under 19 minutes four times during the fall season. Lopez heads into the 2019 spring season as one of the championship favorites at the 2A level distance events. She has qualified for the state meet in each of the past three seasons in both the 1,500- and 3,000-meter races, winning five medals. Lopez placed second in both races in her junior year and fourth in both as a sophomore. She placed sixth in the 1,500 as a freshman and ninth in the 3,000. She also has the No. 2 all-time ranking in the 1,500 and 3,000 races at Kennedy. Lopez said she was attracted to SOU by the academic opportunities it offers, as well as the chance to run under SOU Coach Grier Gatlin. She said she likes the town of Ashland, which she visited twice during high school when her cross country team competed in the Jefferson Invitational at Lithia Park.